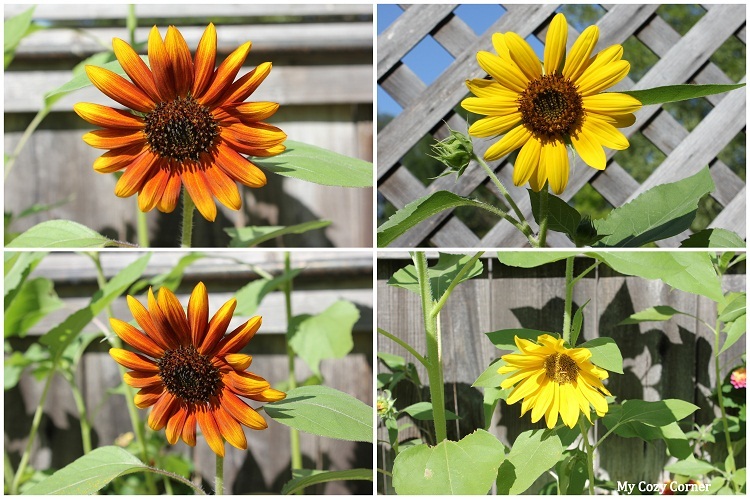 I wanted to share this attractive mixtures of Sunflower varieties I have growing in my garden. There is a wide range of blossom colors, bloom times and plant heights. The flowers bloom in shades of lemon yellow, gold, orange, red and mahogany. The mixture is ideal for a cutting garden and beautiful as a border planting. Birds will be attracted to the seeds, too. I will be sharing the sunshine around to some friendly folks. Betty Sunflowers are so cheery! I love how happy sunflowers always look. And I love the late summer blooms. 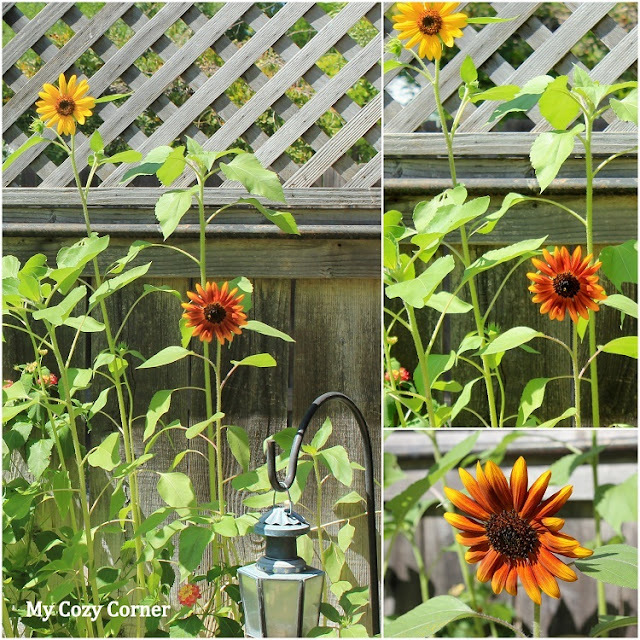 We usually get volunteers from our bird feeders, which is always fun, since these are branching sunflowers. This summer none sprouted, however....next year. Gorgeous blooms those! For some reason, our sunflowers were sorely lacking this summer. 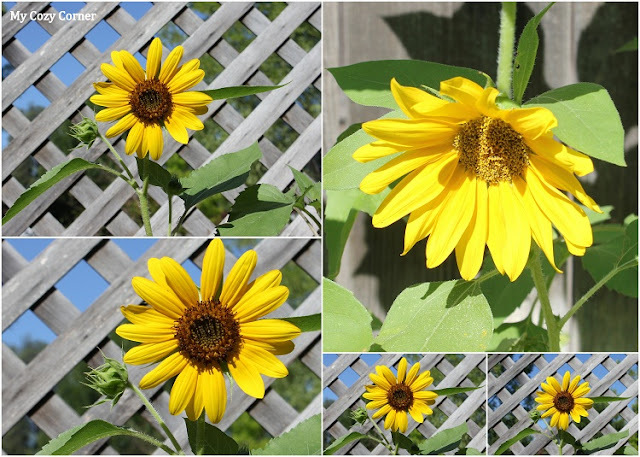 Your sunflowers are gorgeous! I had huge ones back in PA but have moved and do not have them here! I really miss them! Thanks for visiting my blog. I am one of your newest followers. I do love sunflowers! Do you keep the seeds for next year and some for the birds too? Oh these are really lovely. Sunflowers are my favourites. I'd choose them over roses any time! Sunflowers are so sunny and warm and inviting looking. I love them! Simply fabulous. You do have a terrific collection. A wonderful variety of sunflowers! So love the two toned version! Splendid photos! there aren't many flowers so large, and generating of smiles in everyone..you have an awesome collection in your garden - never saw so many different sunflowers! Gorgeous! Mine are all yellow this time. Love sunflowers! I had a hard time keeping the birds away from the seeds this year and so had to replant three times - so I'm getting later blooms, but enjoying them all the same. :) Thanks for linking to the TGP!